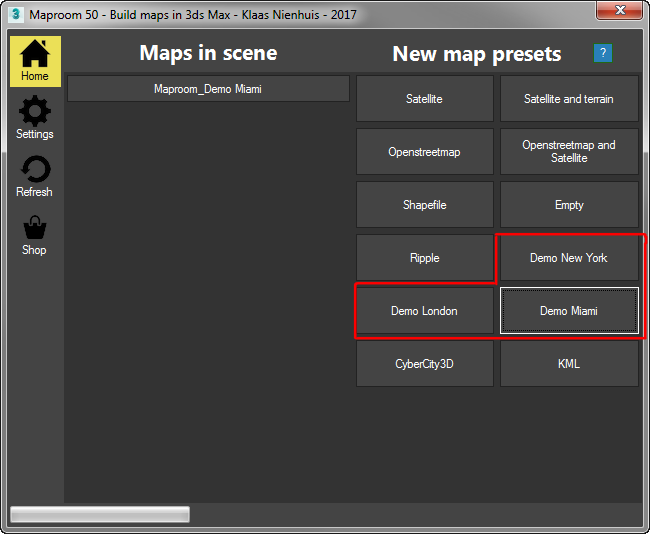 Maproom comes with a few map presets to make starting a map easier. 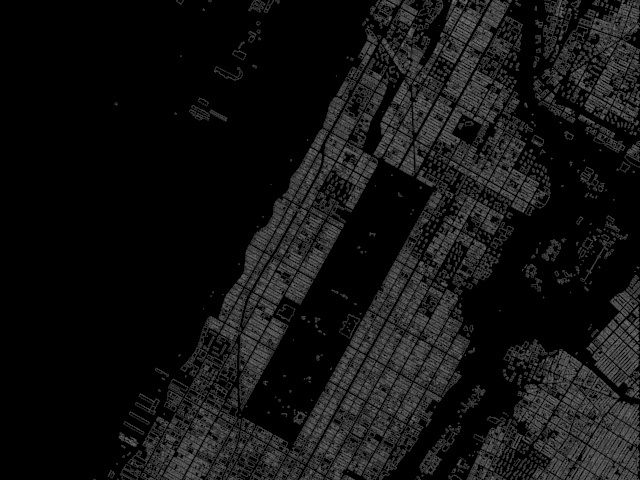 A map preset is basically a map with a number of layers. Each map preset can also be made by starting with an empty map and adding these layers yourself. Once a map preset has been loaded you need to request the actual data by pressing the “Update…” buttons from the individual layers. This will download the actual data and make maps of them. 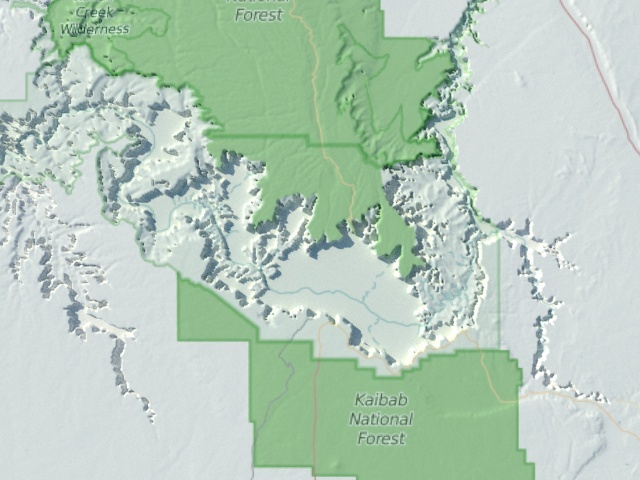 The Satellite preset has a single terrain layer enabled with OSMmapnik as raster source. 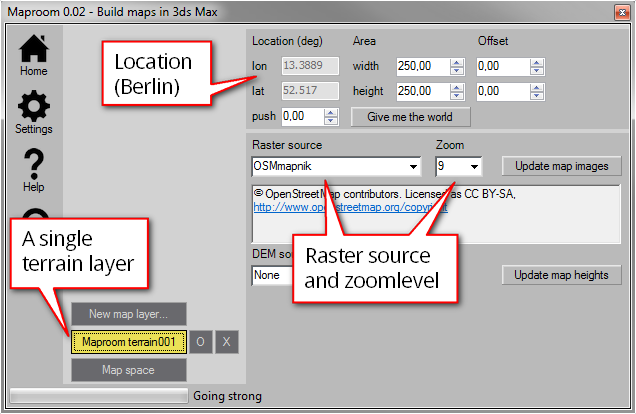 The default settings give you a map of Berlin and its surroundings. 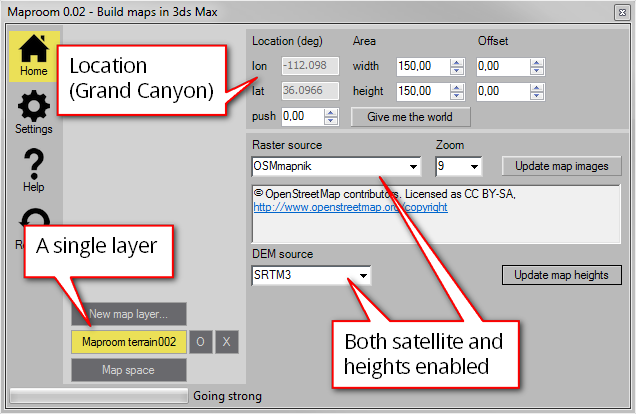 The Satellite and Terrain preset uses a single terrain layer with OSMmapnik as raster source and SRTM3 as source for heights. The default settings result in a piece of the Grand Canyon. 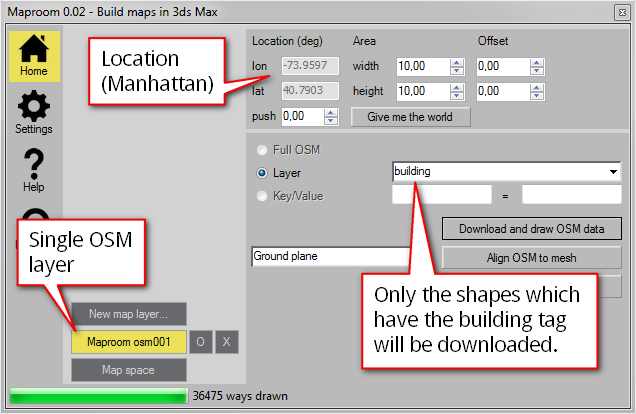 The openstreetmap preset uses a single osm layer which is set to download buildings. You can easily switch it to download other shapes from openstreetmap. The default settings give you the buildings located around Central Park in Manhattan. 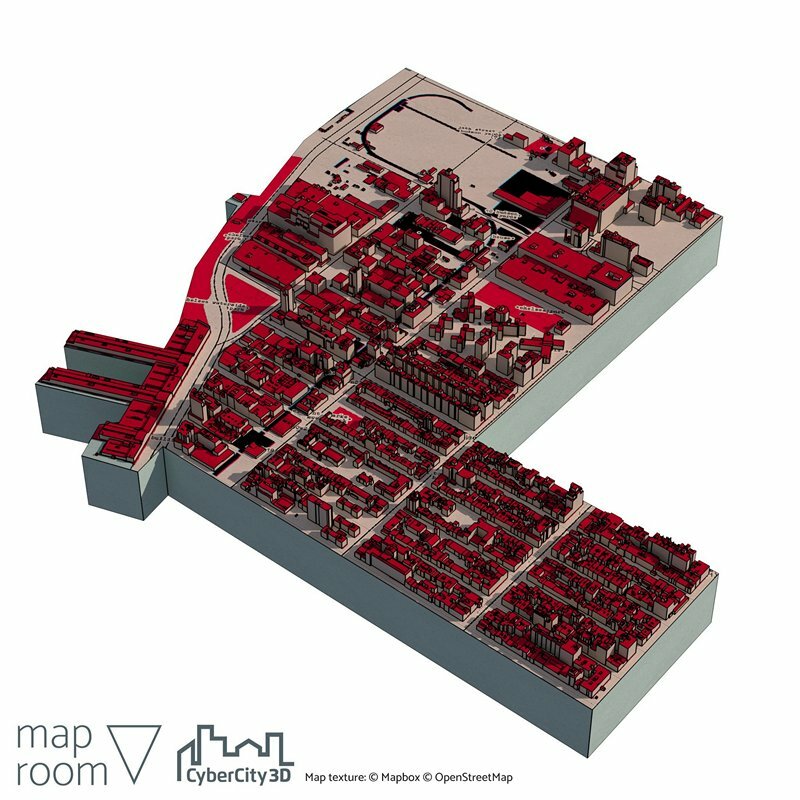 For the description of each maplayer check CyberCity 3D, Inc. (CC3D), Openstreetmap and Satellite . 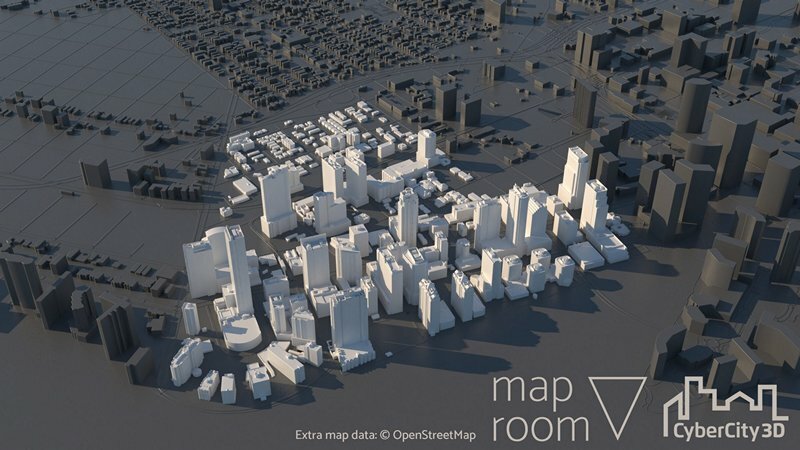 To work with the cyberCity 3D data you first need to download the free sample data, it’s very easy: Sample data. 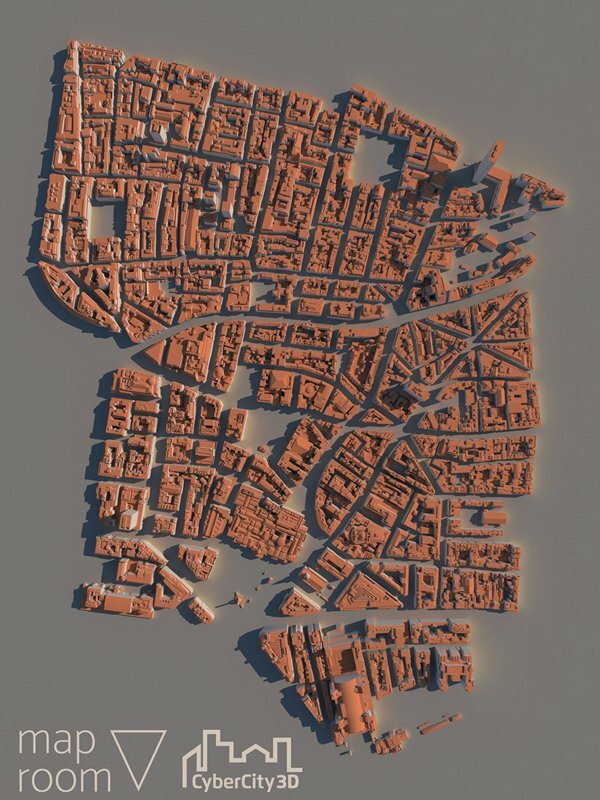 Once you have it you can make maps exactly like these. These have been created with the Demo map presets.